In you haven't setup the J.A. Russell Ltd integration yet, here’s the link with the instructions. If you're already syncing invoices from J.A. 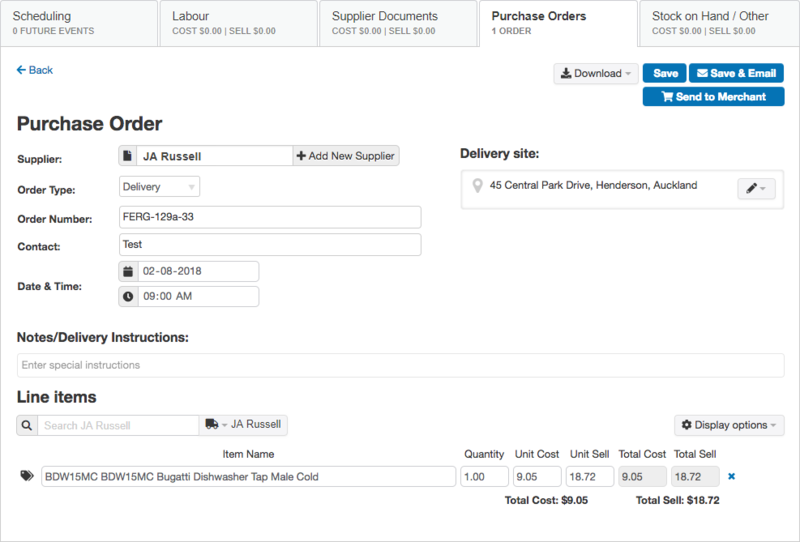 Russell Ltd, then this feature is automatically turned on and you can start creating purchase orders to send through to J.A. Russell Ltd from Fergus. Once you have added a line item, you will only be able to add additional items from the J.A. Russell Ltd pricebook. The only Purchase Order type not supported through the Integration is the Price type Purchase Order, this will need to be sent manually. Adding items from Favourites is not available. Once your order is sent, you won't be able to update it in the system! Get in touch with the branch to make any adjustments to the order once it's sent.